I go through phases. Many moons ago, I went through a "let's make my own cheese" phase. I successfully made microwave mozzarella and ricotta a few times and went straight to making Farmhouse Cheddar (Part 1 , Part 2 & The Final Chapter) and Parmesan Cheese. A couple of my eagle eye readers emailed me and asked, "What about the Parmesan Cheese? How did it turn out?" 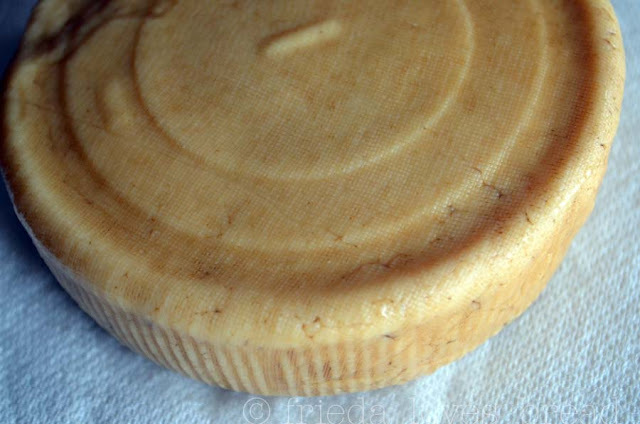 Well, dear readers, I neglected my little disc of cheese. I took it out of the wine cooler, sniffed it, and yes, it did smell like Parmesan cheese. Gave it a brisk scrub of salted water and held a knife to its heart. I poised the hammer to the end of the knife and got ready to "crack the Parm..."
One small chunk flew ... I don't know where it landed. Then I saw a small hairline crack. My heart is beginning to pound. 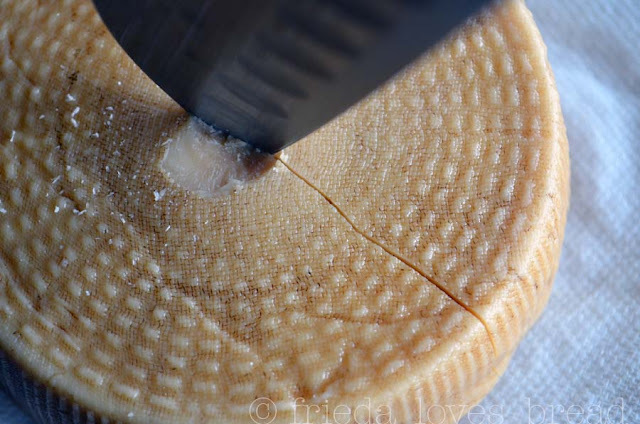 A solid rind. I checked the humidity of my wine cooler. It was 57% and needed to be around 80-85%. 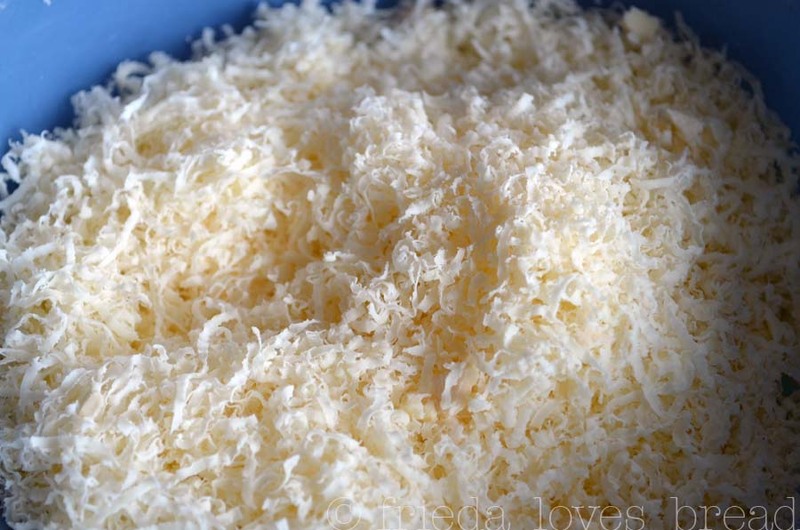 This cheese is not good for grating and sprinkling on top of my favorite foods. Instead, it's only good for throwing into a soup or two. 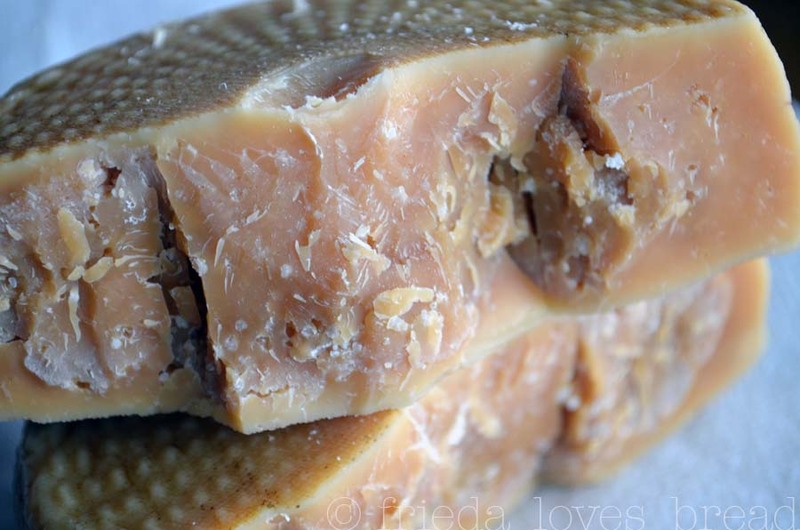 I take a look at my Farmhouse Cheddar, which I made and sampled two years ago. 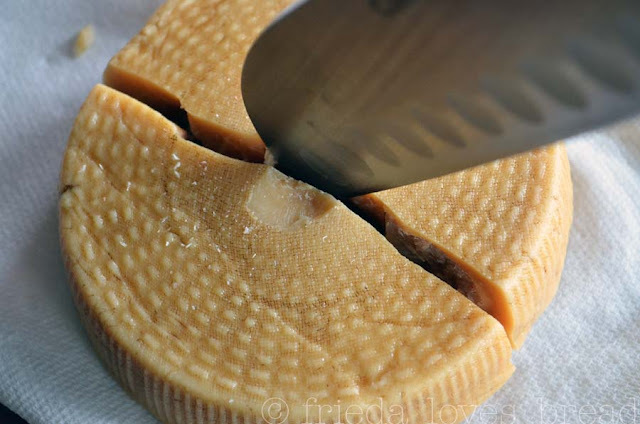 I waxed the cut end and let it sit in my wine cooler to age into a sharp white cheddar. Oh, my! It IS SHARP! I peel off the wax and break off a small piece. My mouth involuntarily puckered ~ it's plenty sharp, I tell ya! I use my microplane grater and grate the entire wheel of cheese and ready it for the freezer. 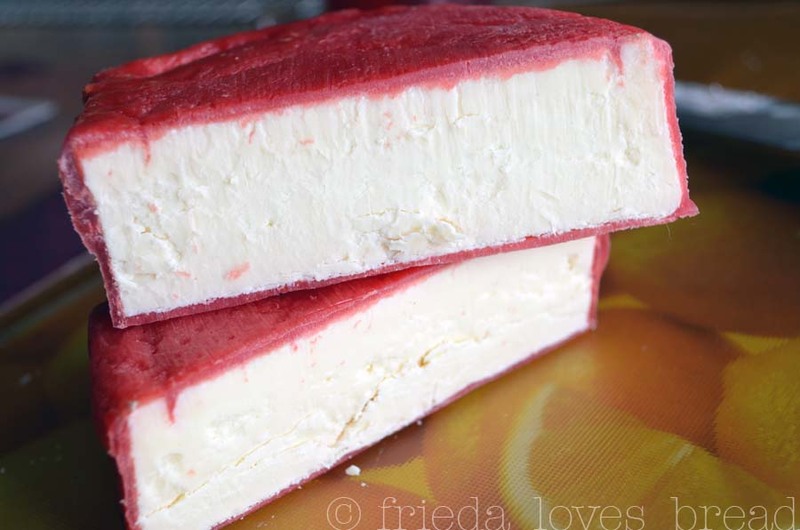 I have some white cheddar recipes that I know will be great with this cheese. I will definitely make this cheese again. Too bad! I was really hoping the Parmesan would work out for you! Thanks for sharing anyway!